It’s Military Saves Month! I hope you all at least thought about getting your TSP password to invest in some other Fund than G. I also hope you at least thought about retirement after receiving emails daily about BRS from your command. One of the most interesting scams of last year came from the good fellas at Wells Fargo, where they turned one account into dozens per customer! Anyways, ever since getting my $400 bonus from CitiBank I am always looking for a new Churn. Wells Fargo is currently offering $250 for a $25 minimum deposit checking account. 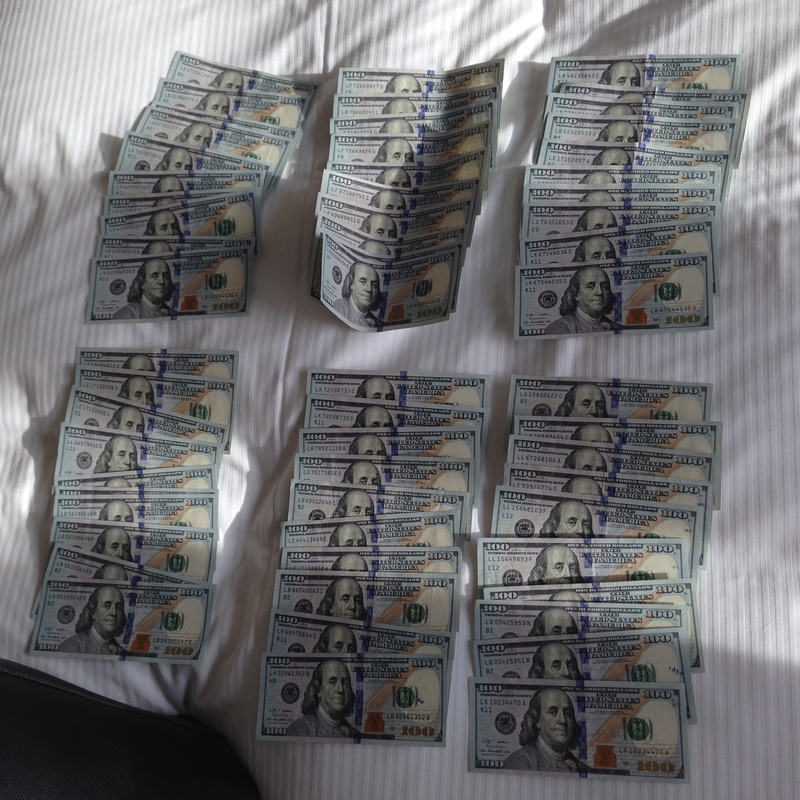 The catch is you must make a direct deposit of $500 a month (even as a form of an MyPay Allotment) or just keep $1,500 in there otherwise be charged $10 a month in account fees! You also can fund up to $50 for Checking and another $50 for Savings with a credit card! That means you can use your Barclay’s Gold for 2% return on checking or 2.5% return on $50 with the USAA Limitless card for a sweet free $2.50 (which I intend to use on a small shamrock shake). Open a new Everyday Checking account with a minimum opening deposit of $25 (not including the bonus) from this online page by March 24, 2017. The 10 debit card purchases/payments must be from the primary linked consumer checking account opened for this offer. Transactions at an ATM do not count as a debit card purchase/payment. If we keep the $1,500 in the checking account for a year and earn $252.25 (don’t forget the $2.50 cashback from credit card funding) we get a sweet return of 16.8% risk free. Much better than Krugerrands which have already lost from 3.4% in a week when gold dropped $45.89 an ounce from $1,264.19 to $1,218.30. The annualized returns are even higher as DOC site says there is no minimum age to keep the account open. Let’s say we complete this whole thing in 3 months, now our annualized returns are looking like 67.2%! Please sign, date, and return the Consumer Account Application included in your account information packet (which will arrive in 3 business days). Once we have verified your information, we’ll send you the status of your application by email and we’ll follow up with a letter within 2 to 5 business days of our decision. Once your account is approved and we process your opening deposit, you can access your account within 24 hours at any Wells Fargo location. Your debit card will arrive in 5 to 7 calendar days. For your security, your Personal Identification Number (PIN) will be mailed separately. If you already have an existing Wells Fargo debit or ATM card, we will link your new account to it. If you have multiple cards, we will link it to the card most recently used. If you do not want your new account linked to your existing debit or ATM card, please call 1-800-869-3557. If you need debit card access sooner, you can visit any Wells Fargo store to request a temporary 30 day instant issue debit card. If you ordered checks, you’ll receive them in 10 to 14 calendar days. Set up Direct Deposit. Have your money deposited automatically into your Wells Fargo checking or savings account — it’s convenient, fast, and safe. Once you have your PIN and debit card, you can set up your username and password and access your account online. Thank you for choosing to access your accounts online. 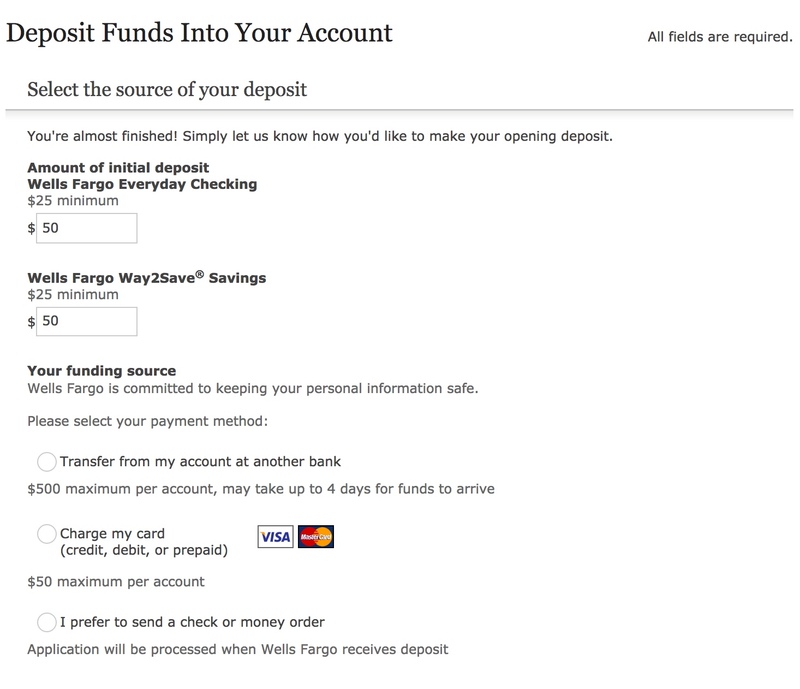 After we process your initial deposit and open your accounts, you’ll receive an email to set up and activate your online access via wellsfargo.com. If you have questions or need immediate online access, call us at 1-800-956-4442. Thank you for choosing Wells Fargo. We appreciate your business.